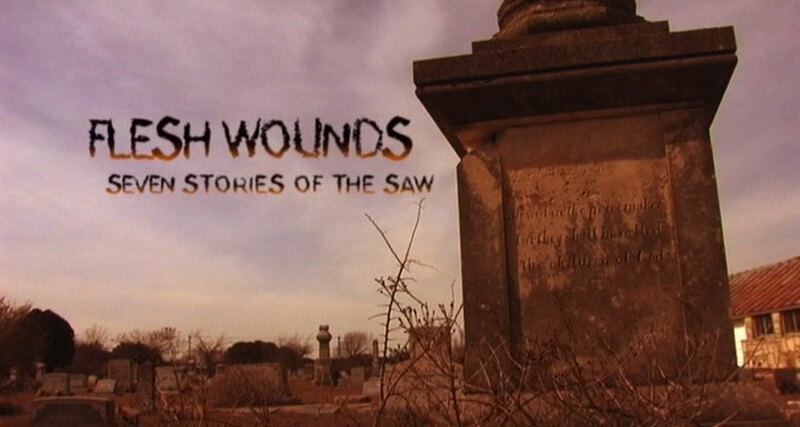 The opening sequence to Flesh Wounds shows various shots of film locations, such as the gas station and the cemetery. You'll probably recognize the above tomb stone. This is the grave marker for C.C. Mason, an important early Texas settler from the 1800's now resting in Bagdad Cemetery, Leander, TX. On top of this marker is a tall column that is easily recognizable from the opening shot of Texas Chainsaw Massacre. As the camera slowly lowers to the ground showing "a corpse tied to a monument", you see this very tomb stone in the background. The guitar soundtrack playing in the background is a well-known Texas singer/songwriter, and personal friend of mine, Russell Clepper. Michael Felsher was looking for some Texas-type music for the intro and outtro for the documentary. I knew who that person should be. I called Russell and had him record a couple of tracks for the documentary. One track, rather sad and slow ("Memories") and another kind of up tempo ("Prairie Mind"). Russell recorded these tracks in my home studio, Studio de la Saw. Both of these tracks are available for purchase from Russell's web site.